Provincial politicians in Ontario haven't had a raise in nearly a decade, and they won't be getting one for another two years. Provincial politicians in Ontario haven't had a raise in nearly a decade and they won't be getting one for another two years, even though the government is poised to bring in a balanced budget. MPPs voted to freeze their own salaries in 2009 because they were aware that giving themselves a raise, when so many Ontario residents were losing their jobs, would have been terrible optics. In 2012, the freeze was extended for two years. 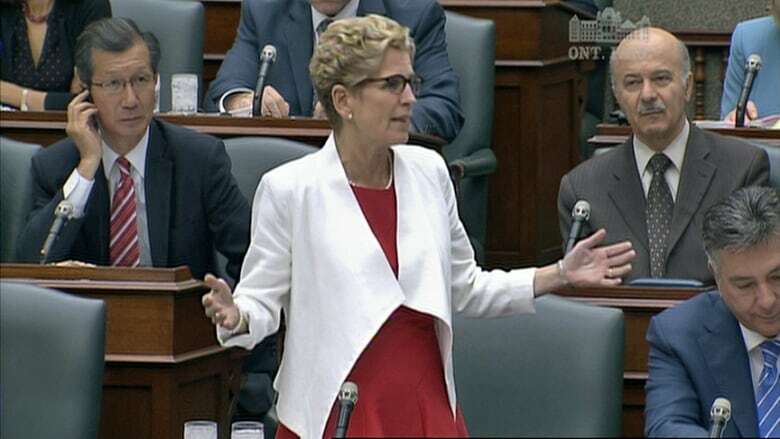 Then, as the provincial election loomed in 2014, Premier Kathleen Wynne and the Liberals moved to extend the freeze until the deficit was eliminated. According to the Liberals, that deficit is due to be gone this spring, with Finance Minister Charles Sousa promising to balance the budget for 2017-18. But MPPs who were hoping that a balanced budget might bring them a raise will have to wait a little longer. The fine print in the legislation says salaries will remain frozen until April 1st in the year after the accounts show the government actually finished a fiscal year in the black. That means no earlier than April 1, 2019. By that time, MPP pay will have been frozen for 11 years. 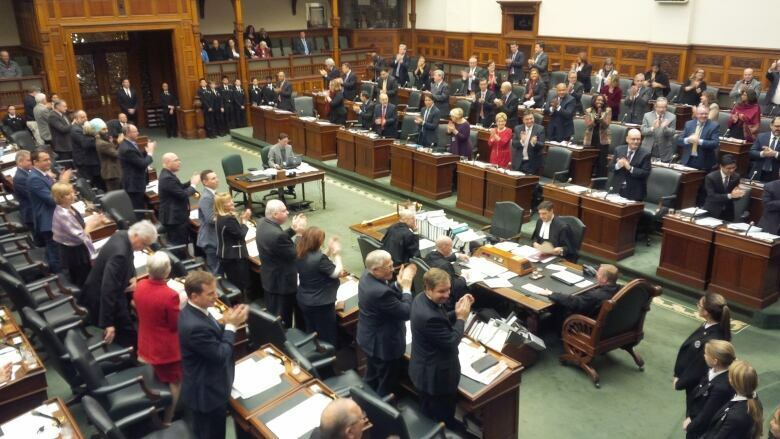 The last time MPPs got a raise was April 1, 2008, when the base salary rose to $116,550. "Sooner or later, there will need to be a wage adjustment," Treasury Board President Liz Sandals said Wednesday. "Virtually nobody says thank you when you freeze your wages, and everybody complains when they go up." Back in 2006, Ontario MPPs salaries were fixed by law at 75 per cent of the salary of federal MPs. The politicians at Queen's Park would get a raise when the politicians in Ottawa gave themselves a raise, and wouldn't directly have to take the political heat. With raises on Parliament Hill in recent years, the base salary for MPPs would now be $127,800 — were it not for the freeze. "I think it's been difficult for members sometimes because the public makes assumptions about what the members receive in compensation that simply aren't true," Sandals told reporters at Queen's Park. She said the level of MPP compensation will need to be reconsidered once the freeze is lifted. "Politicians have families too," Sandals said. "When they're looking at whether they want to run for the Ontario legislature, that's one of the things they look at: 'What is the financial impact for my family, for my children?'" MPPs, unlike their federal counterparts, have a relatively modest defined-contribution pension plan. After they leave elected office, they also get a lump-sum severance, based on the number of years in the Legislature. The maximum payout, for anyone who serves for more than eight years, is 1.5 times their highest average annual salary. "We have, as MPPs, been trying to lead by example," Sandals said. "We understand that we actually do need to show the public that we're committed to restraint, when we've quite frankly asked our employees for restraint."